We always put people first and act with respect – doing this is part of our values. Just one of the ways we live our values is by offering personalised, compassionate care to everyone we meet. That’s why we’re proud to support the #hellomynameis campaign. 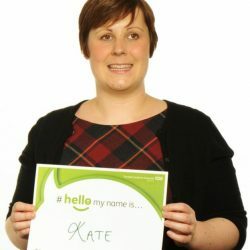 #hellomynameis was started by the inspirational Dr Kate Granger, a geriatric consultant who also had terminal cancer. During a hospital stay in 2013, Kate was disheartened to notice people delivering her care did not always introduce themselves by name. This was particularly difficult for Kate when the doctor who told her that her cancer had spread did not look her in the eye and couldn’t wait to leave the room. To make sure other people didn’t have the same experience as her, she set up #hellomynameis. The campaign encourages people working in healthcare settings to always introduce themselves. Knowing someone’s name immediately creates a bond and establishes trust, and we think this is the only way to provide care. We’re committed to supporting the campaign and our staff will always introduce themselves to you by name.